Last Rebellion takes players into the crazy world of Junovald as you attempt to help Nine and Aisha survive and evade their deadly enemies. The game has very good graphical content and game play but seems to lack any spark of real imagination which is quite disappointing. Would I play this game again? Yes I would but I dont think I would get any more enjoyability out of it. 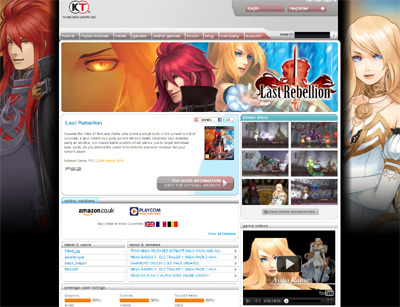 We have also compiled a Review System for this, of which Last Rebellion is Rated as Three Stars, the third highest possible score available from the Game Review Team.